Enhancing students’ mathematical competences and supporting their development are the major goals in the mathematics classroom. However, evaluating to what extent these goals are reached is a complex task for teachers because it requires a profound definition of what mathematical competence actually means at various levels. It also requires diagnostic skills to adequately interpret students’ responses to certain problems and to identify their problems in learning, understanding, and applying mathematics. Competence models could be a way to assist teachers in their diagnostic processes. However, current models lack information relevant to the diagnostic process, such as successful learning trajectories or students’ misconceptions and typical errors. 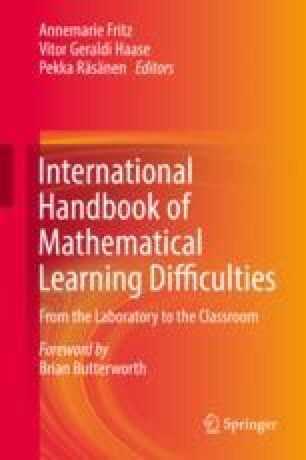 In this chapter, we discuss how competence models can be seen as useful tools for defining, understanding, and diagnosing mathematical competence. We also provide suggestions on how to extend current models to make them more powerful for teachers’ diagnostic processes of their students’ mathematical competences.